I would imagine many of you may have never heard of Gaslight. That's quite sad because it is a wonderful movie. Made in 1944, it stars Ingrid Bergman, Charles Boyer and Joseph Cotten, as well as the supporting talents of a very young and sultry Angela Landsbury. It is filled with suspense and mystery. Charles Boyer is Ingrid Bergman's sketchy husband with a secret to hide, and is willing to drive his wife insane to do so. 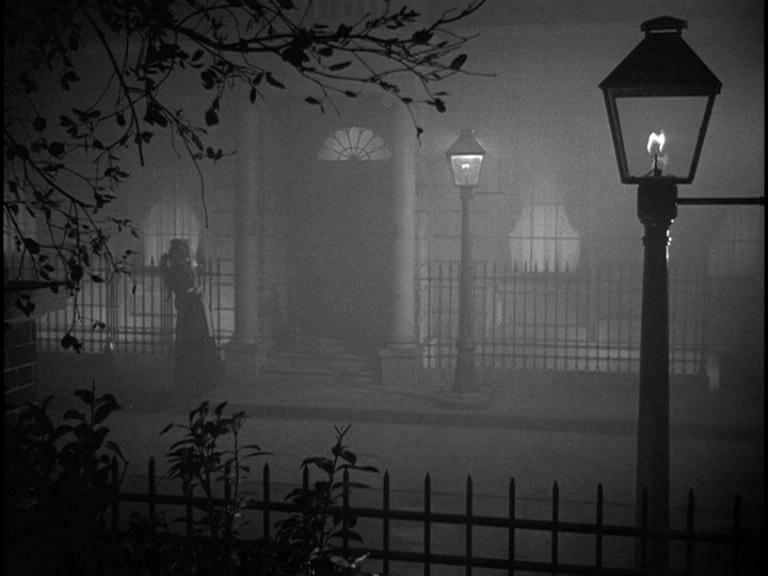 "Gaslighting" is the act of trying to drive someone insane. I highly recommend watching it if you haven't seen it already! 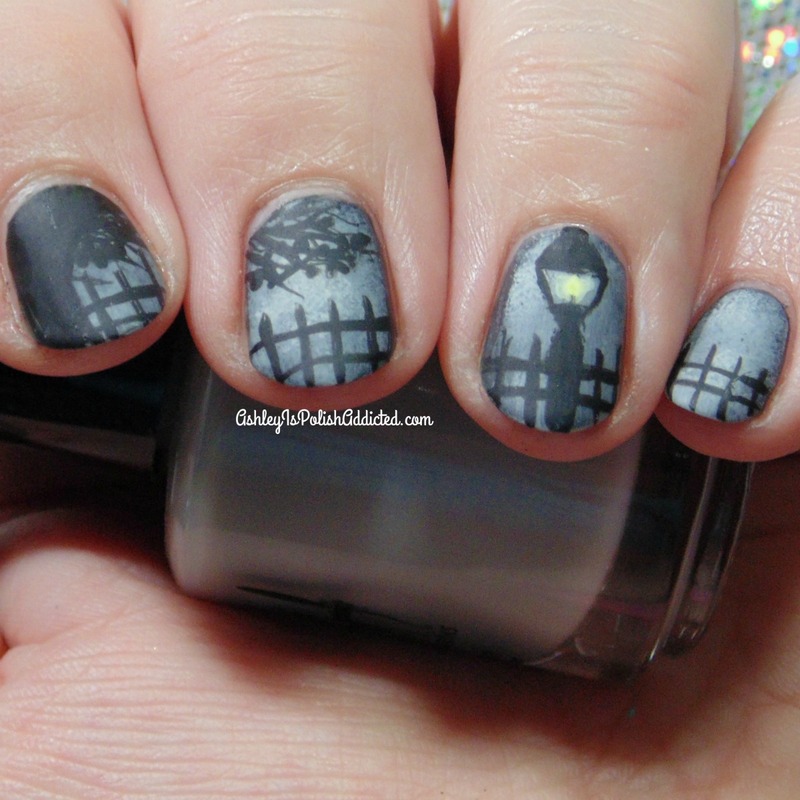 My nail art is loosely based on the following screenshot from the movie. I started off with SinfulSHINE Steel Reserve, which is a very dark grey creme. I then sponged on Girly Bits Elephant Shoe and Salon Perfect Sugar Cube very lightly until I got the "foggy" look that I wanted. I topcoated and let that dry before going in with my acrylic paint to create the rest of the mani. I used Darling Diva's Pryzmatic Top Coat to seal everything and then finished it all off with my favorite matte top coat, Girly Bits Polish Matte'rs. 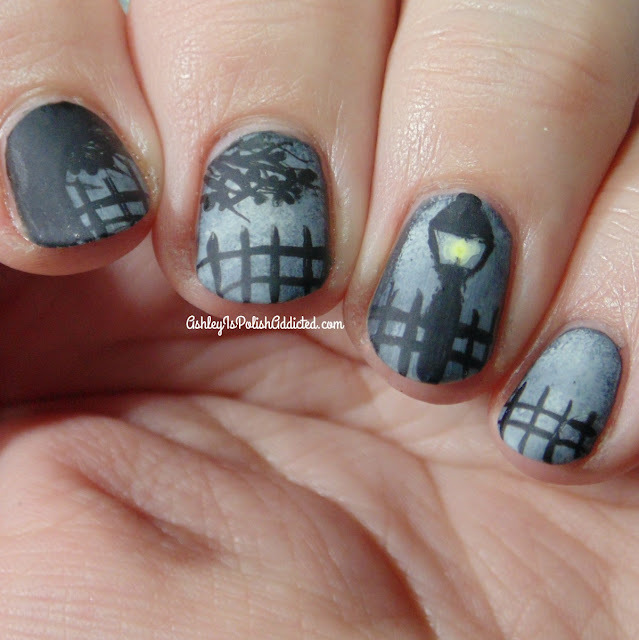 I hope you enjoyed this nail art as much as I have! Make sure you check out the other manis below! Saw the thumbnail and immediately thought of Bergman! 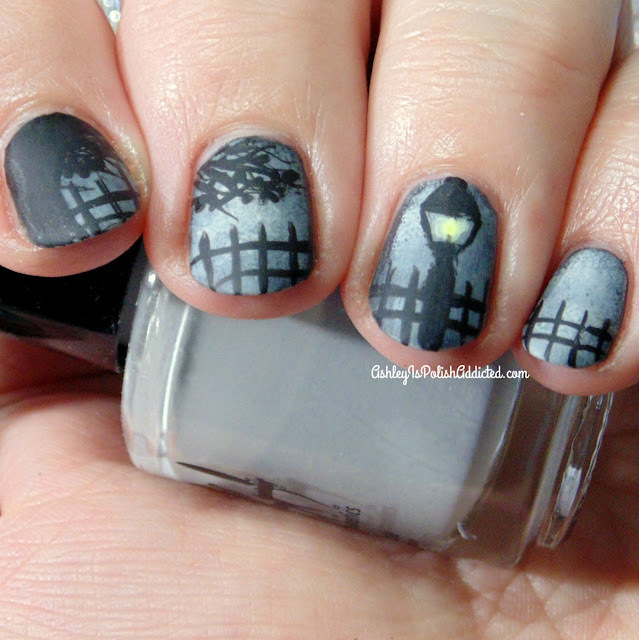 Such a beautiful mani!! What a huge compliment! Thank you!